Our family room is officially spooked out! A bit early? Perhaps. 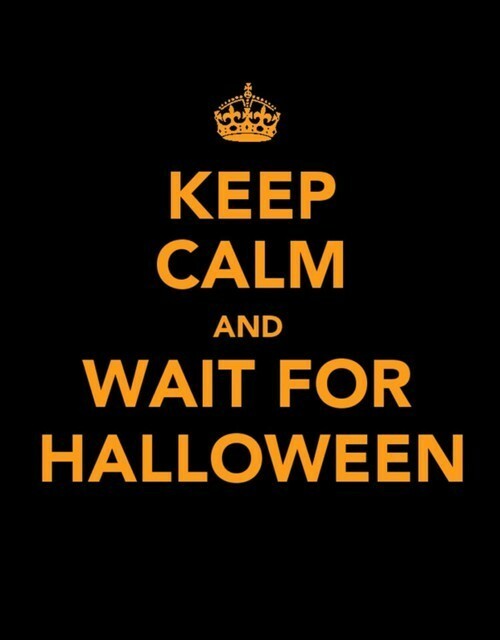 But I have grown to love Halloween decorations, and I want to enjoy them as long as possible. 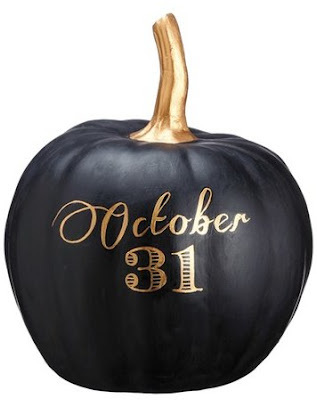 We haven't made it to the pumpkin patch this year, so I was working with only faux pumpkins - these velvet ones are so much fun, and I love the ceramic ones, too! Parker's Halloween pajamas arrived in the mail last week - and they are currently on sale for just twelve dollars. I feel I should pick them up in a bigger size for next year, too! Of course, you could also splurge on these ones that come in sizes for the whole family - so much fun! Also just twelve dollars right now? 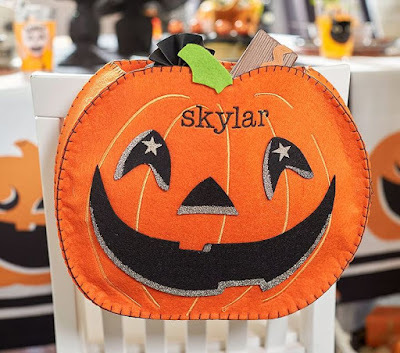 This adorable PBK chair backer. 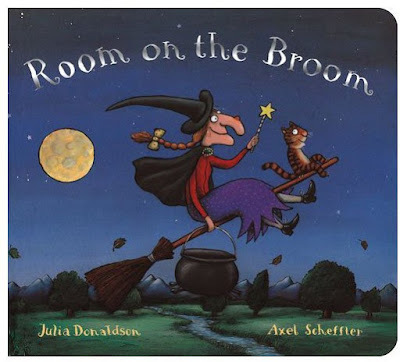 When it was time to think about costumes, Parker chose a character from one of his favorite Halloween books, Room on the Broom. His choice? A red dragon! After the costume arrived in the mail, he fished out Dragons Love Tacos from his book basket (it's currently a daily read for us). It's never to early. I always decorate the first week of school for the Fall and Halloween. It's just too much fun and I like having my decorations up a bit longer. Nope, once September hits, it's fair game to decorate for Halloween in my opinion!! Everything looks great! I just decorated for Fall today haha! 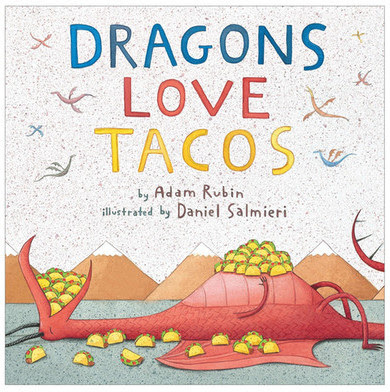 Dragons Love Tacos is a huge hit in our house, be prepared to be entertained! The dragon costume! LOVE IT! He was very specific - it had to be RED just like in the book! Have y'all selected costumes yet? ?